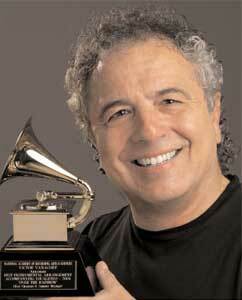 Grammy Award winner Victor Vanacore has been at the nexus of popular music for more than 30 years. Widely respected for his versatility, he has had a long history of fruitful collaborations with the biggest names in the entertainment industry, as a conductor, pianist, composer and arranger. 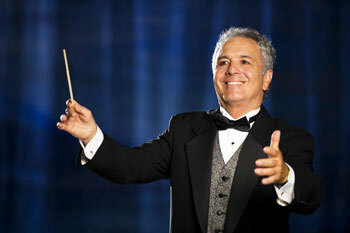 Mr. Vanacore’s latest musical incarnation is that of symphony pops conductor. Recent and upcoming engagements include the Grand Rapids, Kansas City, Stockton, Tucson, Indianapolis, Charlotte, Jacksonville, Buffalo, Phoenix and St. Louis Symphonies, among others. He has also worked with orchestras including the Los Angeles Philharmonic, Detroit Symphony, Atlanta Symphony, Houston Symphony, Seattle Symphony and San Francisco Symphony. Abroad he has worked with the philharmonic orchestras of Calgary, London, Belgrade, Bratislava, and Skopije as well as the Hanover Pops, the Mozarteum Orchestra, and the symphony orchestras of Sydney, Melbourne, Edmonton and Vancouver. In conjunction with his career as a pops conductor, Mr. Vanacore has had numerous associations with celebrity vocalists. He served as conductor, keyboardist and musical arranger for the Jackson Five as well as conductor and arranger for the Fifth Dimension. Not long afterward, Johnny Mathis hired him as musical director for his world tour. He joined Barry Manilow for 6 years in the same capacity, receiving album credits including “If I Should Love Again,” “Barry Live in Britain,” “Barry,” and “The Greatest Hits.” More recent recording projects have included collaborations with Natalie Cole, Teena Marie, George Benson and Dave Koz. Additionally, Mr. Vanacore feels honored to have enjoyed a close ongoing relationship with the musical icon Ray Charles, whom he met in 1990. They remained colleagues and friends until Mr. Charles’ passing in 2004, during which time he served as his musical director, arranger, and opening act. Ray Charles’ only platinum album entitled “Genius Loves Company” features Mr. Vanacore’s orchestral arrangements, including the Grammy-winning “Somewhere Over the Rainbow” with special guest Johnny Mathis. As a composer/arranger, Mr. Vanacore’s recent work has included the Motown themed “Detroit Soul” for the Detroit Symphony Orchestra; “America Then and Now” for the New Jersey PublicTelevision Network; “Spain Meets Birdland” for the Berklee College of Music’s 60th Anniversary. He has also been composing in collaboration with his brother David on the critically acclaimed hit CBS show “Survivor.” Other television credits include music for the 2005 Academy Awards show, Donald Trump’s “The Apprentice,” and “American Idol.” He received the 2009 Telly Award for his musical contribution to the City of Hope cancer center’s fundraising video entitled “Thank You.” Recent CD’s include Natalie Cole, Teena Marie, George Benson, and Dave Koz. These past few years have seen Maestro Vanacore as composer-in-residence at the Festival of The Arts' Pageant of the Masters, where he is commissioned annually to provide compositions and arrangements of all styles, Classical to Modern, to accompany living art (tableaux vivants). 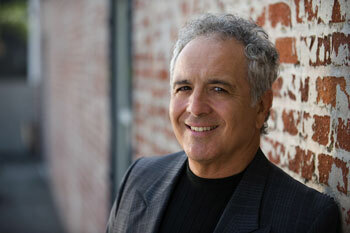 Mr. Vanacore has been engaged in conducting his eight most popular shows throughout the US and Canada. Each concert package includes Victor's top-notch piano playing, Grammy Award-winning arrangements, and a stage presence that will please audience and orchestra alike. "…..Vanacore not only arranges the material we play, he actually reinvents the piece to where every instrument actually has something to play"……..
"As a conductor, Vanacore is super-casual (he gulped water from a plastic bottle while at the podium), and is very funny, in a really nice kind of way. He is also a strict taskmaster when it comes to orchestra leadership. He didn't ask the orchestra, but rather required them to follow his accurate beat, communicating directions to the musicians in a very stern manner. The result was some fine playing even with, as Vanacore reported to the audience, little rehearsal. Everything worked fine,"
Vanacore also is the CEO of COLONIAL ROAD MUSIC PUBLISHING a cutting edge symphony pops rental company specializing in providing special musical arrangements to orchestras worldwide. Mr. Vanacore is a member of ASCAP, AFTRA, the National Association of Recording Arts and Sciences, The Society of Composers and Lyricists and the American Society of Music Arrangers and Composers. He lives in Southern California where he enjoys spending time with his family and hobbies including sailing, golf, scuba diving, and making pizza in his imported outdoor ovens.